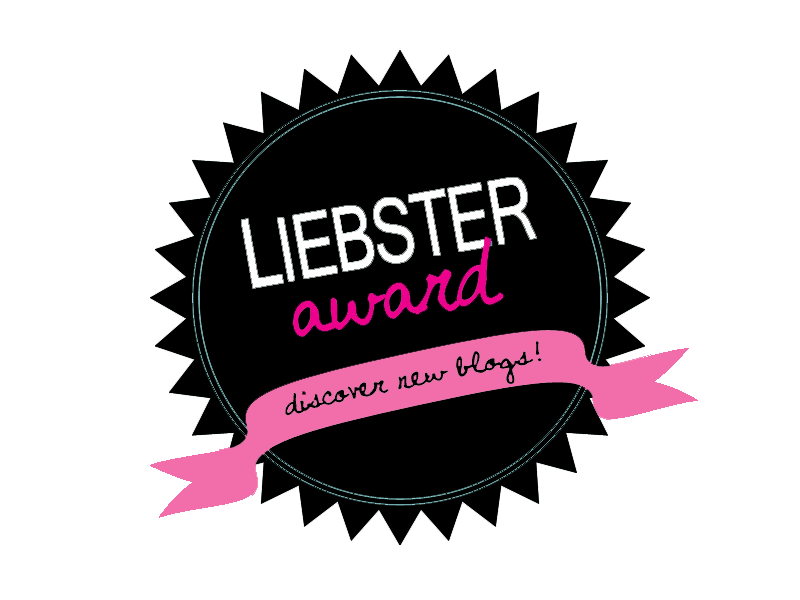 I have been struggling with reviewing books at the moment, as you may have noticed. This is due to both personal and health reasons and this means I will be taking a break from blogging for a while, reading books I want to read rather than ones I have to read. I will write up the reviews of the books I have received from NetGalley in time but I will not be as consistent with my uploads and will not be accepting any requests from authors. Thanks to Netgalley and Victory Editing NetGalley Co-Op for giving me this book to review. 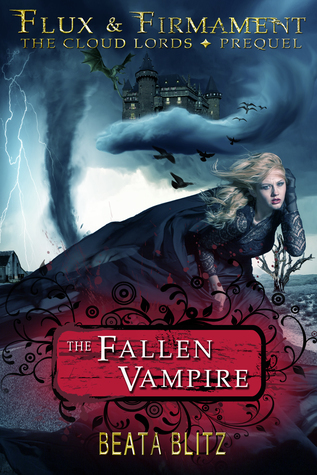 The Fallen Vampire is a fun dystopian paranormal novella, which has a very interesting premise. However, I would have liked more world building as the setting seems so fascinating. Chloe is a good character but seems like a typical teenager whose life revolves around a boy she fancies rather than keeping herself safe. I would recommend The Fallen Vampire to fans of Angelfall by Susan Ee and Kingdom of Ashes by Elena May. Thanks to Netgalley and City Owl Press for giving me this book to review. Witch’s Sacrifice is an enjoyable fantasy book, with good world building. However, it did not grab my interest as the plot seemed a bit meandering at times and I could not relate to or connect with any of the characters. Marizza is a determined person who is caring of those she is close to. Salvia is a character who is a bit odd, because I could not really picture as at some points she seemed to act her age but at other times she acted much younger. It is similar with Artiro as he is 100 years old but he acted like a cocky and self-assured teenager. 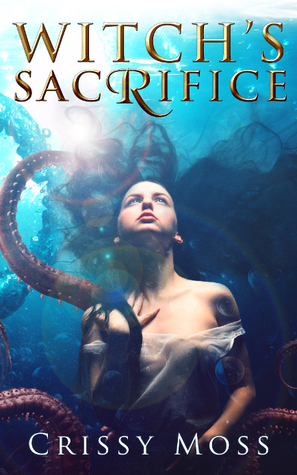 While Witch’s Sacrifice did not hold my attention, I would recommend to those who enjoy fantasy books set around the sea. Thanks to Netgalley and Barclay Publicity for giving me this book to review. 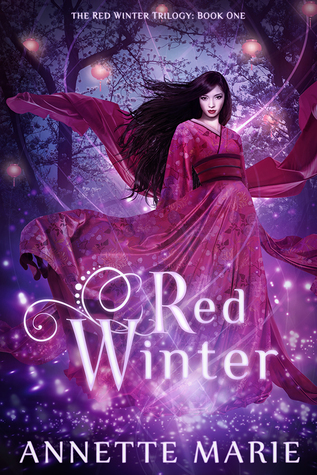 Red Winter is an enjoyable paranormal fantasy book based on Japanese mythology which I really liked, however, when I started reading, I was surprised that it was set in the real world as the description implied it was set in a fantasy setting. The story was a bit slow to start but I did start to pick up. I also really liked the art in the book as it helped me picture the scene and the characters. Emi is very innocent and dedicated but she also has an inner determination and loyalty. Shiro is such a flirt who seems very carefree but he is one big mystery which is not fully revealed. Katsuo seems like the only person, before she meets the Yokai, who truly cares for Emi rather than who she will be. I enjoyed this book and is was good reading an urban fantasy book based upon Japanese mythology. I would recommend Red Winter to those who liked The Secret Fire by C J Daugherty and The Hundredth Queen by Emily R King. 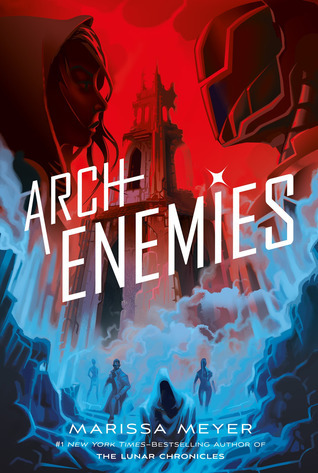 Archenemies is the enjoyable sequel to Renegades and all of my favourite characters were back. There was action, romance and a unique take on the good vs evil fight. However, I felt that not much happened and I wish Meyer had stuck to the plan of the series being a duology as, apart from the ending, there was nothing noticeably important that really happened. I liked the conflict Nova felt in this book as while she is totally loyal to her unusual family, she doubts herself and whether either side is correct, but this did mean that we did not see much of the kickass Nightmare as I would have liked. Adrian did not have as much character growth as I would like as he had the same problems and worries as the first book but he is still kind and inquisitive. The best part of this book was the ending as it was so action packed and I couldn’t predict what was happening next. While I did not like this book as much as the first, I still enjoyed it and am looking forward to the final book in the renegades trilogy. I would recommend Archenemies to fans of the first book and those who enjoy superhero stories. Thanks to Netgalley and Black Moon Books for giving me this book to review. Trails of magic is a paranormal book full of magic and sisters who have different personalities and their relationship with each other. However, this book did not capture my attention and I struggled to care about the story. Aurie is responsible, caring and determined to be the best. Pi is reckless, shrewd and more outgoing than her sister. 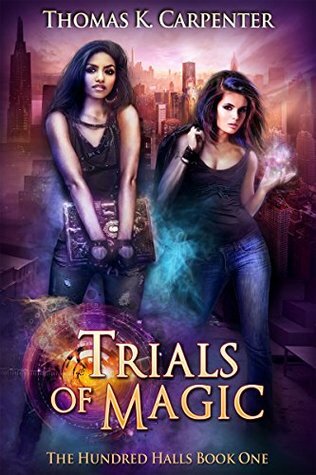 While I can see why people enjoyed Trials of Magic I just did not seem to connect with the story or characters. Thanks to Netgalley and Hachette Children’s Group for giving me this book to review. 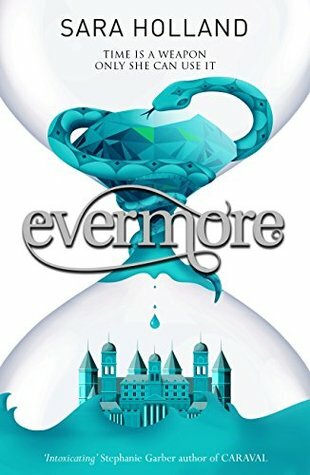 Evermore is the sequel to Everless, and while it is fast paced and I wanted to know what happening next, I was disappointed with it. I was not a fan of the romance as it developed way too fast and I ended up rolling my eyes at most of it as it takes up a lot of the story and Jules’s thoughts. I felt the world building was not good as it seemed like everywhere they needed to go was only a couple of hours horse ride away and everything seemed convenient and shallow as they would go from one point to another with no depth or sense of discovery. Jules is way too impulsive and puts herself in danger almost constantly but she is desperate to find the truth and discover a way to stop Caro. Liam is a good character who is intelligent and has a thirst for knowledge. However, all of the characters, both new and old, felt flat and I didn’t care much about them. I was underwhelmed by this book but I am hopeful that I will enjoy what Holland writes next. I would recommend Evermore only to those who loved the first book Everless.